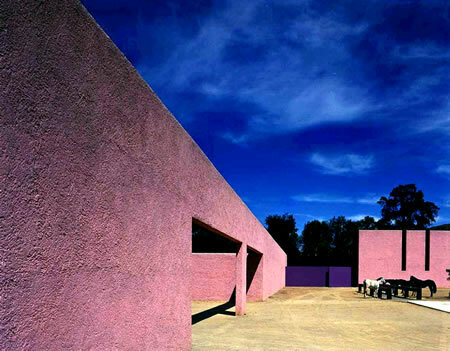 Built in 1948, the House and Studio of architect Luis Barragán in the suburb of Mexico City (Tacubaya)represents an outstanding example of the architect’s creative work in the post-Second World War period. The concrete building, totalling 1161-m2, consists of a ground floor and two upper stories, as well as a small private garden. Barragán’s work integrated modern and traditional artistic and vernacular currents and elements into a new synthesis, which has been greatly influential, especially in the contemporary design of gardens, plazas, and landscapes.